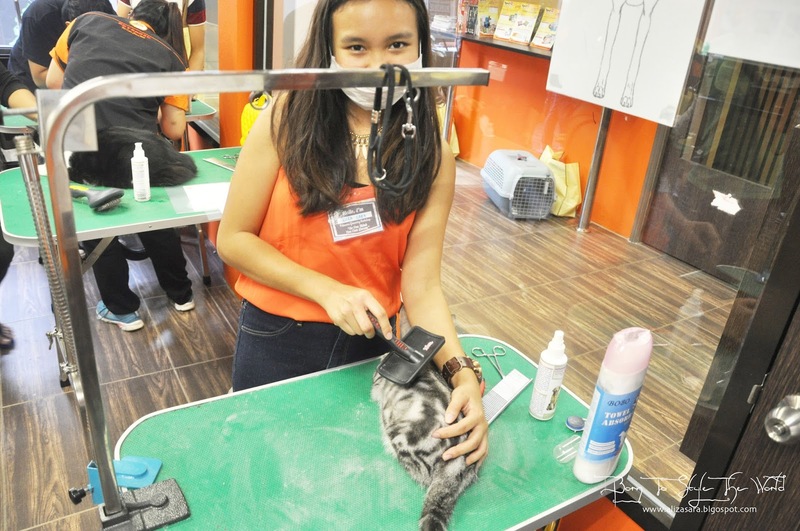 Earlier this week, on the 29th of October to be exact, i attended a "So you think you can groom" workshop just to get a little hands on with my furry pet because i believe that its really important to be sure that youre grooming your pet the right way, in order to create a special bond between pet owners and their pet. 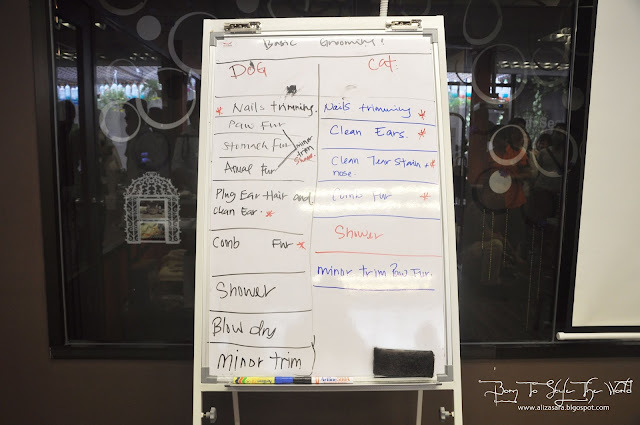 We were lucky have Petsmore Master Groomer who shared some tips to ensure that pet owners groom their pet well at home. 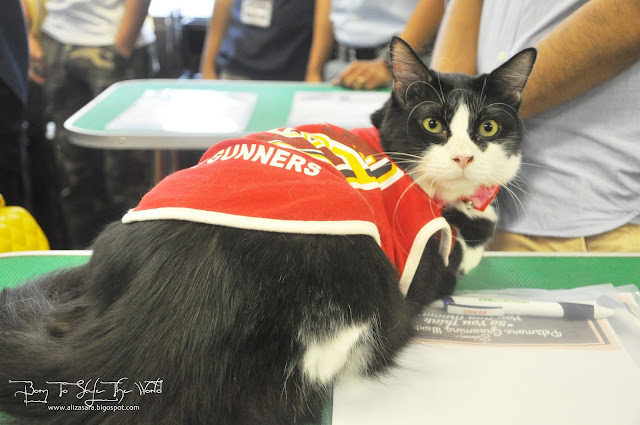 This short workshop basically teaches pet owners to be more responsible and to also make sure that owners understand their pets better. Showing the proper technique to clean your cats ear. The proper way to brush your pet. Since i learned a lot, might as well share what i learn from the workshop with you guys! And hopefully that you could groom your pet at home via DIY. hehe. 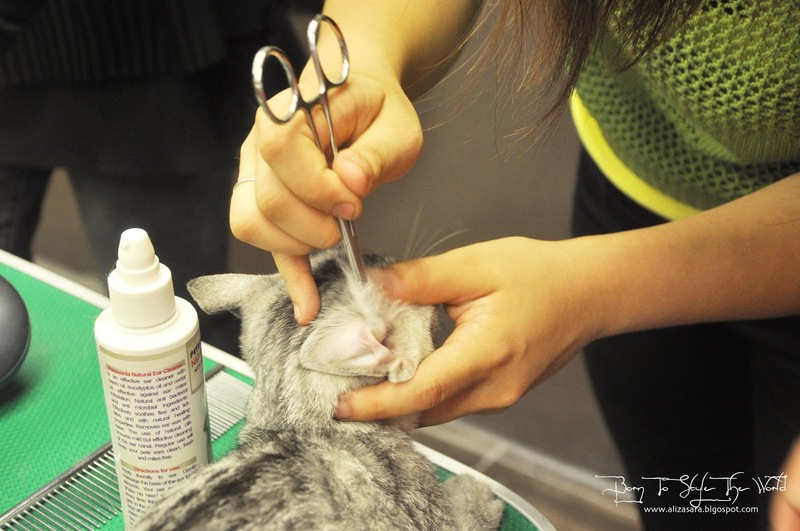 When you groom your pet often, you would also be more aware of changes in your pets body. Not only that it makes you become aware, but according to Petsmore Master Groomer, it will also strengthen your relationship with your pet too. 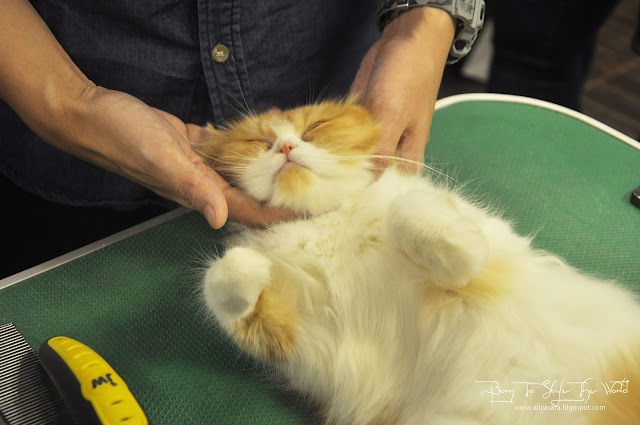 For cat owners, here are some tips on what needs to be considered when grooming your cat. There are a few steps that you may need to think about. So usually, professionals would go through a procedure starting from nail trimming, cleaning their ears, clean tear stain and nose, comb fur, shower and minor trim of fur if needed. But for us pet owners, you can just skip the shower and trimming of fur. Wendy cleaning her cat's ear for the first time. When cleaning their ears, be sure to be gentle cause they can feel pain too if you do it wrongly. When cleaning their ears, you can use a cotton bud and make sure its covered with ear cleaner liquid which you can get at Petsmore! 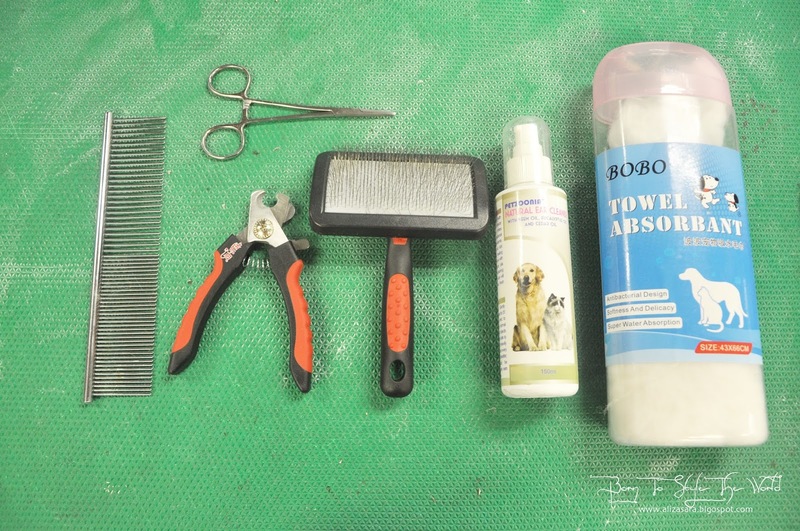 Usually when cleaning, this should be done at least once a week to make sure that your pets are at their best. Mr Sean Saw sharing a few words. 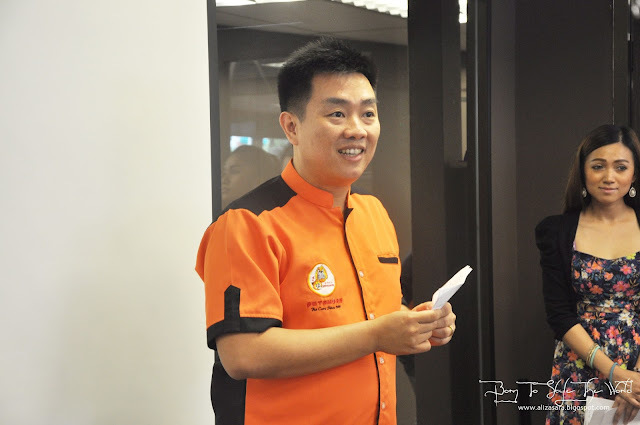 COO of Petsmore, Mr. Sean Saw also had a few things to say when introducing the furry academy, where he said " The purpose of the academy is to nurture and educate new talent in the grooming field. It takes a lot of patience, passion and knowledge to be a great pet owner. I saw hope in educating pet owners because when the wrong techniques, it could lead to disastrous results." Yikes, and im glad that i was at the workshop to learn a thing or two on how to care for my pet. Look at how relaxed they look after their 'spa' treat. 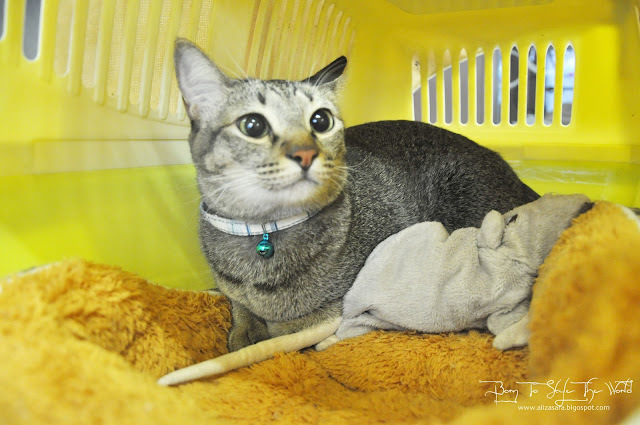 Petsmore is living up to its new tagline, "Where love begins", Petsmore believes that every living being deserves to be loved and what better way to show your sincere love to your furry friend than to properly care for their well-being. Here's my little Pandora and shes a little anti-social, so she preferred to stay in her cage accompanied by her mouse. Hehe. I find this grooming workshop necessary when you have a cat like mine, who enjoys being indoors. And when they're constantly indoors, its our job to make sure that they are constantly clean. Hope you enjoyed this blogpost. Be sure to give your furry friend the right amount of attention, or if you unsure of how it needs to be done, you can also drop by Petsmore SS2 for guidance. For more information, do check out www.petsmore.com or http://www.facebook.com/petsmore to get the latest update. Now I know how to comb my Manja and Kakak. Hehehe. Always comb the fur downwards. How lovely that pets get their share of grooming too! Did anyone take their pups to the event? the cats all look well groomed. I can adore cats from far but can't hold them or my asthma will be back. wow...so q!! wish i could be here too!! 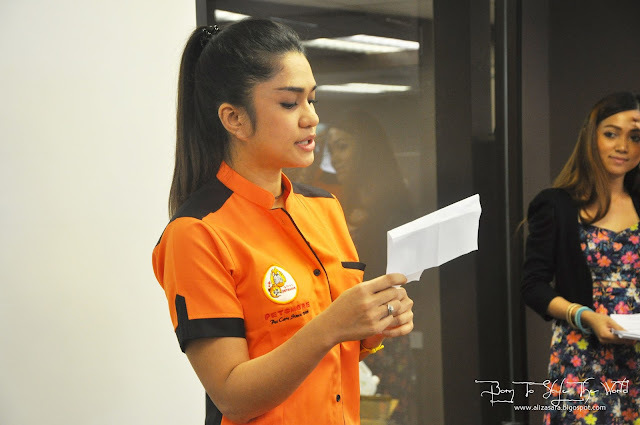 that day i busy! Your cat is so cute! Too bad this event was on a weekday, couldn't attend. Else could have given my cat a gromming session too! Those pet lovers must love this place. They have many services and products available there. Your cat so lucky. Able to join the pampering session. Will check out Petsmore at SS2 to see any animal that my Little Angels would love to have. Your baby pandora definitely a cute babe! 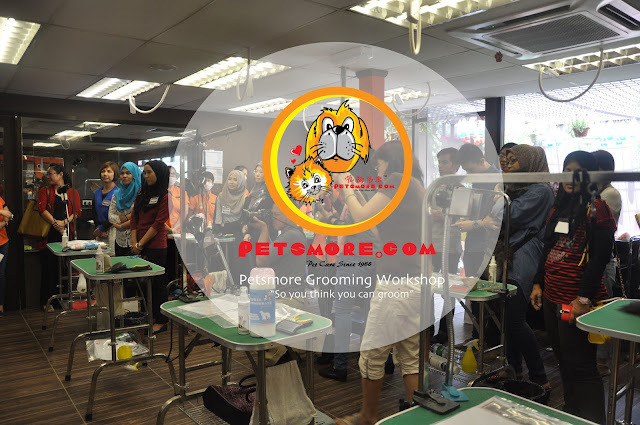 hehe Definitely learn more about how the grooming workshop actually works! You went for the grooming workshop. I miss it but is a good learning process on how to care our pet correctly. Thanks for sharing.